Her connection to ESSENCE is a cool one! Amirah Vann doesn’t have a marquee name on WGN’s Underground. That distinction goes to stars Jurnee Smollett-Bell, Aldis Hodge and Christopher Meloni. But Vann, who is best known for her work in theater, is the one getting a ton of buzz from critics and fans who tweet about her every week for her performance as Ernestine on the runaway slave drama. In time for the seventh episode of Underground titled “Cradle,” here are five things you may not know about Vann, a Queens, New York native. 1. Vann graduated from Far Rockaway High School and earned her Bachelor of Arts degree from Fordham University. 2. When Vann first started out as an actress, the singer and songwriter sang at weddings to pay the bills. It was an idea she got from ESSENCE Magazine’s now defunct “Hustle of the Month” column. “I was a wedding singer and joined a band and ESSENCE told me how to do it,” Vann says with a chuckle. 3. As for her familial roots, Vann’s father is African American and her mother is Puerto Rican. Her father’s family is from Georgia where the drama is set. Vann has an older sister and despite her convincing turn as a dedicated mother, she is not a mother in real life. But she is an aunt with two nieces and a nephew. 4. The actress is thrilled that people love her as Ernestine but she almost turned down the role. 5. Underground has inspired Vann to learn as much as she can about enslaved Black people and how they survived. 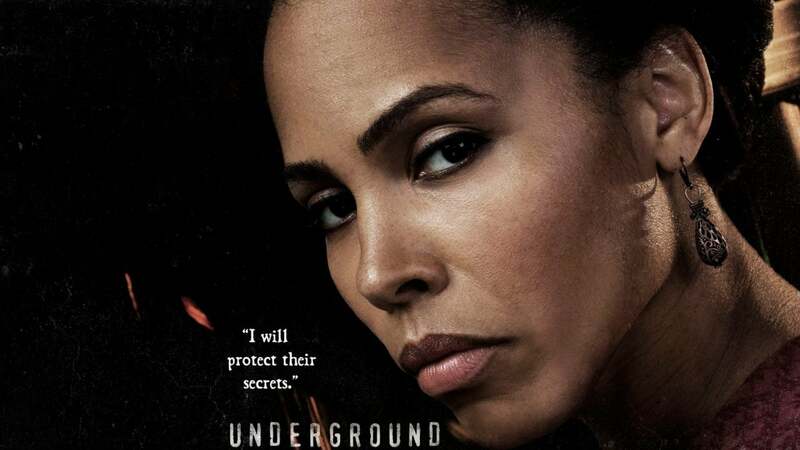 Underground airs Wednesdays at 10 pm ET on WGN.